My Fishermans Spice Tin is great for anyone who loves fish. This range offers a variety of recipes for tasty fish based dishes including a tasty prawn spaghetti recipe, jerk salmon, salmon fishcakes and more. With 3 unique blends and a range of unique recipes online. The Fishermans Spice Tin Set comes with 3 of our unique, fresh spice blends and one tin for easy storage in your cupboards. Cumin, coriander, chilli, black pepper, salt, cinnamon, cloves, cardamon, nutmeg, ginger, turmeric, smoked paprika, paprika, brown sugar, scotch bonnet chilli, yellow mustard seeds, rose petals, mace, all spice berries, cayenne, star anise, fennel. 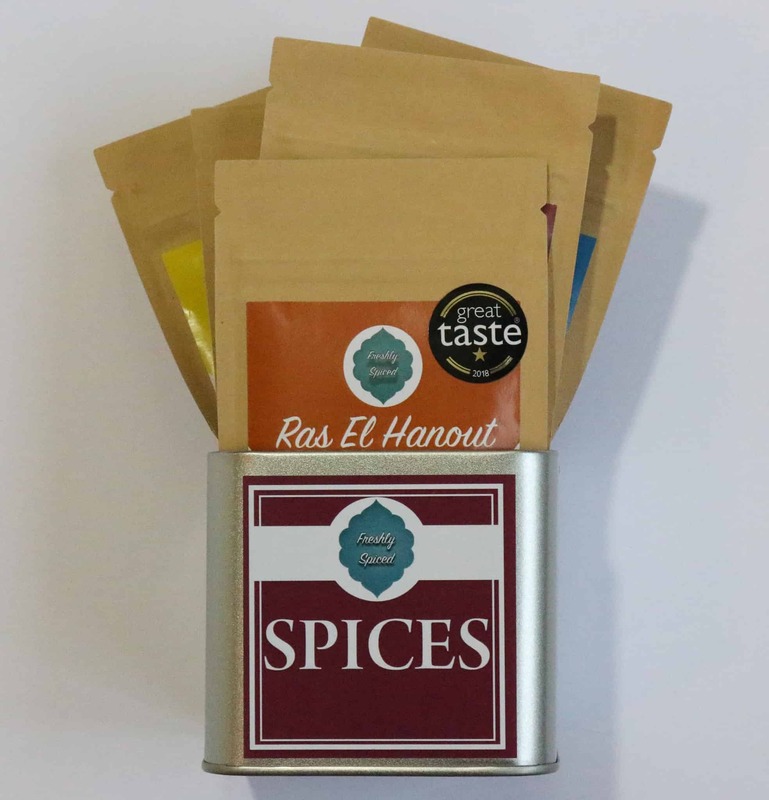 The spices are produced to be used immediately whilst really fresh, with this in mind we advise to use spices within 6 months. Actual best before ranges from 8 months to a year. Check out our Recipe section for meal ideas or head over to our Youtube Channel to view our range of video recipes. Comes in 25g Pouch, providing 2 people around 3 servings. 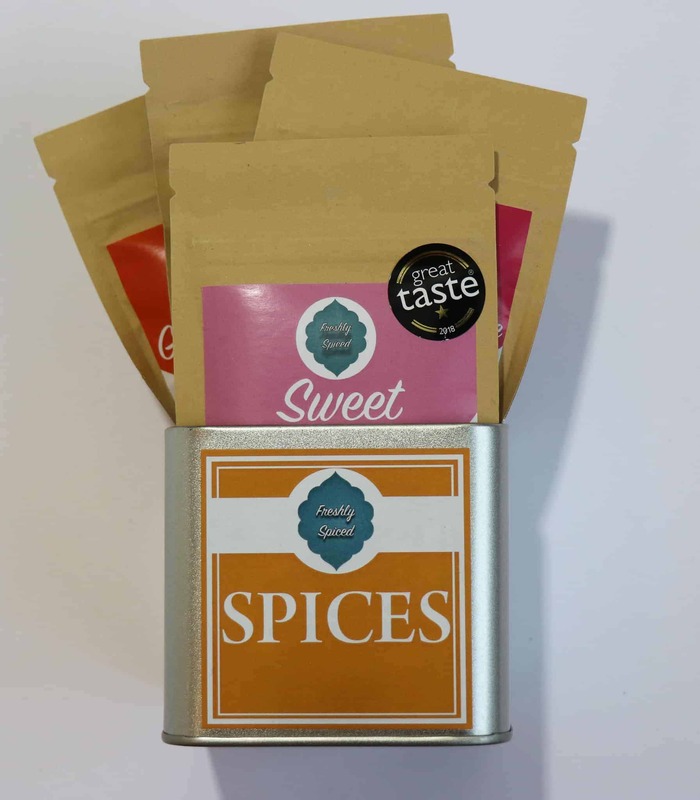 The pack contains 3 spice blends to offer a range of meals and to give varieties of healthy meals.